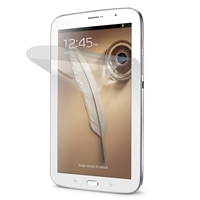 Keep your GALAXY Tab 3 7.0 screen protected against unsightly scratches. 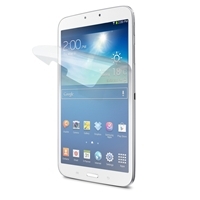 Don't let screen glare ruin your experience of using your GALAXY Note 8.0 tablet. This special screen protector not only protects your screen from scratches, but also prevents light from reflecting off its surface and distorting your view. Eliminate unwanted glare from your screen and protect it from unsightly scratches. 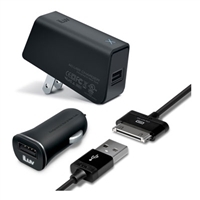 iLuv IAD578BLK MobiSeal Deluxe Combo, USB Charging Kit for GALAXY Tab. 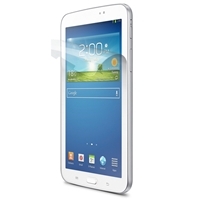 Compatible with GALAXY Note 10.1, GALAXY Tab II 10.1, GALAXY Tab II 7.0, GALAXY Tab 10.1, GALAXY Tab 8.9, GALAXY Tab 7. Sometimes you need more than just a case for your tablet. The CEO Folio was inspired by the boardroom, where the tablet has begun replacing notepads and laptops as a workplace tool. 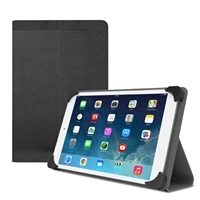 keeps your tablet protected from wear and tear. Sometimes the best solution is the simplest one. That's certainly the case for Simple Folio, a minimalist case for your GALAXY Note 8.0 that efficiently protects your device with timeless style.